I had no doubts with what place to start the series of articles about Hong Kong. It definitely must be about the Victoria Peak! This place is considered to be the major tourist attraction of Hong Kong. Victoria Peak is the highest mountain on the island with an altitude of 552 meters. It offers breathtaking views of Hong Kong Island, Kowloon and its harbours. Not many people know that famous actor Jackie Chan was born in Victoria Peak! This June I spent over 10 days in Hong Kong & Macau, two special administrative regions of China. I’ve already posted an article on my bungy jump from Macau Tower, more posts about Macau to come. I spent only one night in Macau and the rest of my time belonged to Hong Kong, so most pictures and impressions are from there. Choose 1080p HD for much better quality! It would be silly to try to cover all information about Hong Kong in one post, so naturally I decided to divide it into multiple articles. Here are some places which will be covered in coming posts : Victoria Peak, Kowloon, Discovery Bay, Ocean Park, visit to the Buddha statue in Lantau Island, Hong Kong Island, Ngong Ping 360 and others. Hong Kong is situated on China’s south coast and, enclosed by the Pearl River Delta and South China Sea, it is known for its expansive skyline and deep natural harbour. With a land mass of 1,104 km2 and a population of seven million people, Hong Kong is one of the most densely populated areas in the world. Hong Kong’s population is 93.6% ethnic Chinese and 6.4% from other groups. Hong Kong became a colony of the British Empire after the First Opium War (1839–42). Originally confined to Hong Kong Island, the colony’s boundaries were extended in stages to the Kowloon Peninsula in 1860 and then the New Territories in 1898. It was occupied by Japan during the Pacific War (1941–45), after which the British resumed control until 1997, when China resumed sovereignty. 1) Thinking Big. This benefit should not be underestimated! 2). Evaluating life situations properly. Who you are now, what are your limits for now,etc. 4). Planning. Chess helps to evaluate life situations, create a plan and follow it till you achieve your goal. 5). Risk management. Chess players usually won’t invest their money into dubious sources or run a risky business. ( see benefit 2). 6). Making better decisions under time limitation. All those principles are ranked accordingly to my personal experience and life understanding. Interesting pawn ending from 2013. In the 5th round of the Turkish National Chess Championship 2013 I managed to win a really interesting pawn ending. You can find below some of my annotations. FC Barcelona vs Milan 4-0. Catalans never give up! Huh, came home just one hour ago. It was something! I was happy to be at Camp Nou tonight. If somebody is not aware, the Champions League match between FC Barcelona and AC Milan was played there. In the first match, the Italian club took over Barça with 2-0 score so Catalans at home had to score at least twice to move match to the over time. And in case if Milan scored 1 goal, Barcelona should have scored 4 goals! That was a lot of excitement before,during and after the match. I’ve managed to take plenty of photos and videos so am glad to share them with you! Let’s fun begin! My second time in Iceland. A large illustrated report. Hey guys, finally got some time to post a new article Last two posts were about my perfomances in Antalya and Moscow . After showing a good perfomance in Moscow, my European trip continued by travelling to Iceland, this awesome country where I’ve been already for second time! Don’t miss opportunity to check a report from my last year’s trip to Iceland. This year tournament got a much stronger participation comparing to the previous edition. You can check full list of participants here. I was seeded 21st while prize fund consisted of just 10 prizes so my main aim before the tournament was to show good chess and win some rating points. I find my participation as quite acceptable as I managed to win 4 points of ELO and finish on the 15th place, the higher one than I was seeded. I arrived to Iceland from Moscow via Stockholm one day before the tournament, at night of February, 18th. When I entered the room at 01.40 am, my roommate was sleeping but I was so noisy that he woke up :O But I was glad to have such a kind roommate, he was GM Dragan Solak, the reigning Turkish Chess Champion and really cool guy! Besides of us two, other two Turkish players GM Barış Esen and Mustafa Yılmaz came to play. I think, our team has done quiet well in the tournament. It has been a nice preparation before the EICC in May 2013. 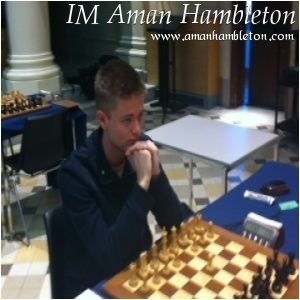 Now a few words about the Reykjavik Chess Open 2013 itself.